The Hero Indian Super League is slowly approaching the business end of the season. The clash between Pune and ATK was not meant to gain great amount of attention, and the On-the-field actions today justified it properly. Scripting out some talking points from a seemingly insipid encounter is as tough as it can get, still Jersey focuses on some topics which were noteworthy in connection to today’s clash. This player was adjudged ‘Hero of the Match’ and deservedly so. The agility and cunning movements of the player through the flanks throughout the whole game did not go unnoticed. The Brazilian was in full-mood tonight as he gave the ATK fullbacks a torrid time on the flanks. Add to that the goal he scored, the cherry on the cake, which took the contest pretty much beyond ATK’s hold. Positivity is a trait which if well reflected on the field, helps the team gain something good. Although FC Pune City today showed it well, but Sherringham’s men were a bit within their shell throughout the game. There was almost no action in the attacking third by the attacking players of the Kolkata franchise with almost zero penetration through the centre. The stats would show that ATK had 4 shots on target but Vishal Kaith’s heroics made it sure that the defending champions return empty-handed. Sahil Panwar— A Star in Making? Sahil Panwar, this is a name with which many people are yet to be familiar with. If everything goes smooth, then it would not be a surprise that this former India U-19 Captain is seen donning the Jersey of Indian National Senior Team. The player was a rock at the heart of the defence tonight for Pune City and denied many of ATK’s promising moves by timely intervention and proper positional sense. If this boy is appropriately groomed and he himself maintains the decorum, then Sahil Panwar is a star in the making. Adil Khan, this player is well-recognised in Goan Football circuit and also nationally for his composed defensive skills, physique and astute decision making. As it seems, the good times of the Indian international is back again as he has managed to net today again from a timely header. The player has also won appreciation from the critics for his defensive prowess in this season’s ISL and I’d Pune aspires to do well, he needs to deliver on a regular basis. Has Teddy got it all wrong? It’s often said if the Manager or the Head-Coach of a team was a professional player, he naturally focuses more on the position he used to play mostly. Well, as it seems in case of Teddy, this rule probably can be stamped as authentic as the defensive organisation of ATK is seemingly almost Non-existent. The defensive quartet of Prabir, Thorpe , Jordi and Keegan Perreira was in absolute shambles today in front of Pune’s well planned attacks and it led to the downfall of the team to a great extent. 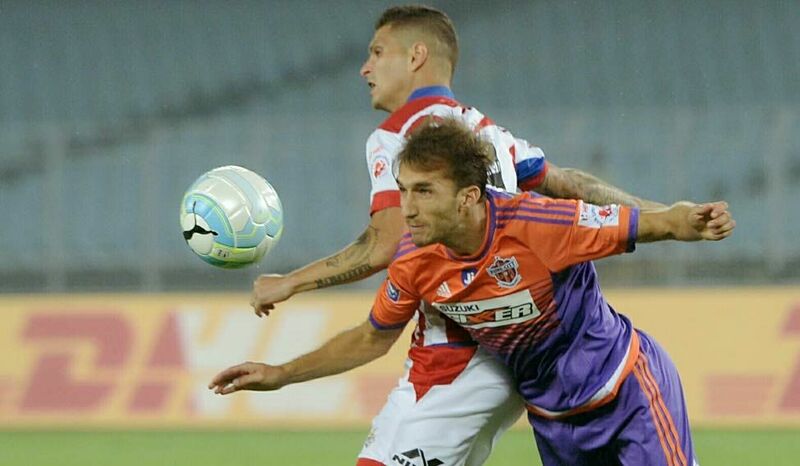 Where will FC Pune City end their League stages?